One of the things I like the most when it comes to home brewing is the ability to experiment all the time; pretty much every batch is an excuse to try something new. I wanted to make more beer than the usual one time and decided to check how another 10 litres pot I have would fare compared to my regular pot: both pots are stainless steel but they differ by the pot shape. My regular brewing pot is wide with a curved and thick bottom while the new pot I was trying has the classic soup pot shape: long, narrow and thin. Which is the right pot shape for making the best beer? 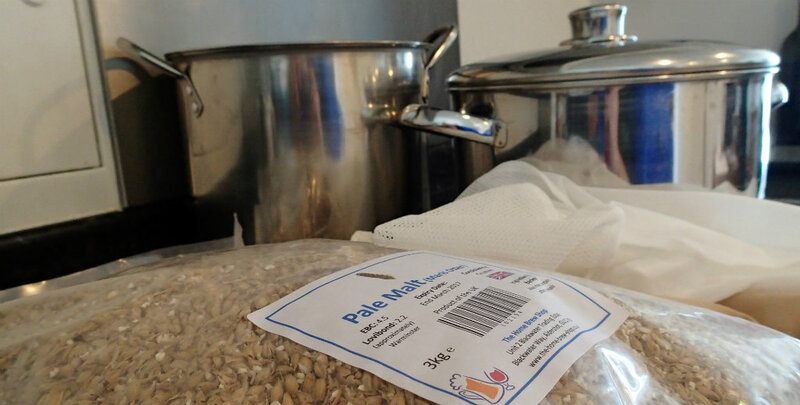 Mashing was conducted similarly, using 1.5 kg of Pale malt in 5 litres of boiled Brita filtered water. The starting temp was the same (75°c) at striking and with both pots went down to 70°c. After 90 minutes of mashing, pot 1 reached 61°c and gravity of 1070 and pot 2 reached 62°c and gravity of 1080, already a difference; I’m guessing due to how well the grains spread in the pot. Boiling went the same with both pot shapes, but it took longer to bring pot 2 to the boil as it has greater side surface that allows cooling. After the boil and hops addition, the wort in pot 1 was only 2.8 litres (3 litres in pot 2) but both pots had the same gravity level of 1121. Both batches (pot 1 and pot 2) had the same amount of yeast and oxygenation and were given room temperature Brita water to bring them to 7 litres batch. Pot 1 had an OG of 1047 and pot 2 OG of 1052. 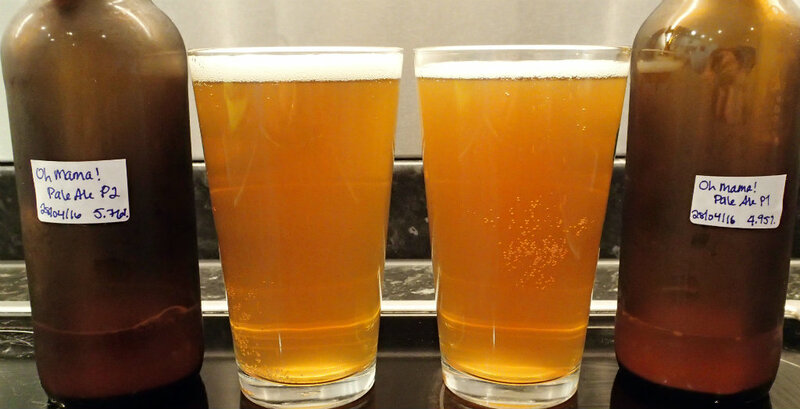 This difference in OG is what later made all the difference between the two batches, resulting in pot 1 having 4.95% ABV (FG was 1010) and pot 2 had 5.76% ABV (FG was 1009). Really nice aroma from the hops, coming from the Citra and the supporting Celesia. Citrusy, red grapefruit and a sweeter finish, maybe some berry and bubblegum notes even. When comparing the 2 pot shapes, pot 1 produced a more floral result due to the lower alcohol level. The evaporation due to the higher alcohol level seems to have resulted in a much less aromatic beer that has more of malty notes than the regular citrusy scent. Clear and golden coloured with a very light haze; white, light and airy head that clings thinly to the beer. No real difference between the two beers with similar foamy heads. Original tasting: Light bodied but there still a malt presence; bitter and creamy. Quickly the hops take over and the beer is crisp and refreshing with a full hoppy flavour but leaving no bitter after taste. It is very clear that the batch from pot 2 is much more alcoholic, making it less hoppy with a deeper flavour and a clear “kick” to it. Pot 2 batch is also more bitter and has a strong alcoholic after taste which is not bad, but still exists in a away that doesn’t with pot 1. The pot shape had a pretty big influence on the beer flavour, mainly due to the fact that pot 1 produced a less alcoholic beer and so one very different in flavour. I do think I will be using the new pot with the longer and more narrow shape since it seems to be more efficient, both in the mashing stage and the boiling stage.